Nearly three years ago, Universal bought DreamWorks Animation, adding a second major animation company to the studios to accompany hit-maker Illumination. 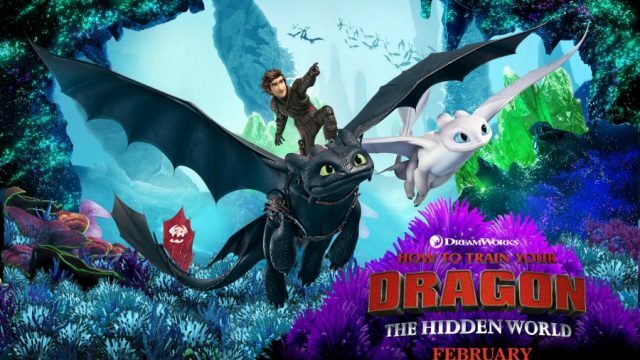 This weekend saw the release of the first Universal/DreamWorks Animation feature, How to Train Your Dragon: The Hidden World, and it kicked off the duo’s partnership in style with the biggest DreamWorks Animation opening weekend in seven years. Opening to $55.5 million, the newest Hiccup & Toothless adventure beat out pre-release box office tracking to score the biggest debut ever for a How to Train Your Dragon movie, beating out the $49.4 million opening weekend of the second movie by 12%. It’s also the eighth biggest opening weekend ever for a movie opening in February and the eighth biggest opening weekend ever for a DreamWorks Animation feature. DreamWorks Animation had a box office cold streak from November 2012 to November 2014 that only The Croods and the second How to Train Your Dragon film managed to escape. Though their box office grosses improved from there (Home, especially, made way more than expected domestically), none of their titles over the last few years, save for The Boss Baby, managed to score the kind of big box office DreamWorks Animation projects could capture regularly back in the May 2001 to June 2012 period of their existence. 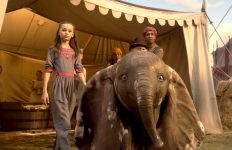 The major box office success of The Hidden World was a throwback to that era of DreamWorks Animation, a sign that the studio might just be able to rejuvenate itself financially at Universal. It also provided a jolt of life to the 2019 box office as this is easily the biggest opening weekend of 2019 yet. Universal currently has the top two opening weekends of 2019 (The Hidden World and Glass), an early indicator 2019 will be yet another massive year for the studio. In second place, Alita: Battle Angel stumbled after beating out its box office tracking last weekend as it fell 58% to a $12 million second frame. That’s a surprisingly steep drop considering, unlike many other blockbusters, Alita didn’t have Thursday night preview figures boosting its opening weekend. 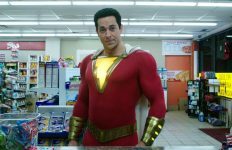 58%, for instance, is what the average non-July MCU movie falls in its second weekend and those always have Thursday night figures boosting their opening weekend. Did people just rush out to this one over the holiday weekend? Perhaps. With only $60.6 million domestically after 11 days of release, Alita is headed for a domestic total of only $80-85 million. Also facing a 50+% drop this frame was The LEGO Movie 2: The Second Part, which fell 51% in the face of The Hidden World, giving it a third-weekend gross of $10 million and a domestic gross of $83.6 million. Fighting With My Family expanded into wide release this weekend but could only muster up $8 million from 2,711 for a per-theater average of just $2,955. Though the A CinemaScore rating indicates that audiences seemed to love the title, good word-of-mouth just couldn’t take this one to the next level of box office success. Among sports dramas, its wide release opening weekend was underwhelming as it wound up 4% behind the opening weekend of the significantly cheaper-to-produce When The Game Stands Tall and that Christian sports drama didn’t have Dwayne Johnson boosting it on social media! I’d imagine this one will likely leg it out to a $20-25 million domestic total, but MGM/WWE was certainly hoping for more from this one. 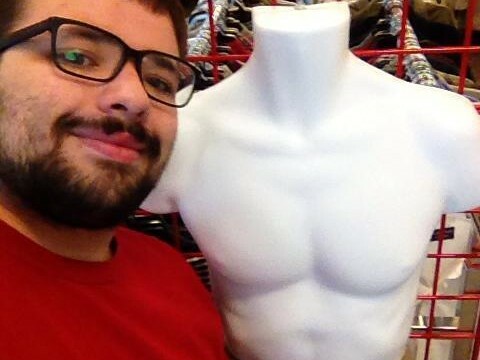 Rounding out the top five was Isn’t It Romantic, which fell 47% this weekend, a better second-weekend hold than the 54% drop of How to Be Single. Taking in another $7.5 million, this Rebel Wilson vehicle has grossed $33.7 million domestically. Right behind it was What Men Want, which fell another 51% for a third-weekend gross of $5.2 million for a domestic gross of $45 million. Happy Death Day 2U dropped 47% this frame, actually a decent hold for a horror sequel, but took in only $4.98 million for a domestic total of $21.6 million. This sequel is still behind the opening weekend of its predecessor but at least it’ll do more than three times its $9 million budget domestically. In eighth place we find Cold Pursuit, which dropped 44% for a $3.3 million third-weekend and a $27 million domestic total while the ninth spot went to The Upside, which dropped 41% (its biggest weekend-to-weekend drop by far yet) for a seventh-weekend gross of $3.2 million for a $99.7 million domestic gross. Rounding out the top ten was Run the Race, an inspirational sports film from producer Tim Tebow that took in $2.2 million from 853 locations for a per-theater average of $2,665, the seventh biggest opening weekend ever for Roadside Attractions. Among wide release sports dramas with more restrained theater counts, this isn’t exactly a major breakout hit (it’s only 30% ahead of the opening weekend of sports drama box office dud Hands of Stone), but it’s a decent opening for such a small-scale title that serves as the newest instance, following Forever My Girl and I Can Only Imagine, of Roadside Attractions finding box office success in inspirational feel-good movies aimed at Middle America audiences. Speaking of inspirational feel-good movies aimed at Middle America audiences. Green Book dipped just 27% this weekend for a fifteenth weekend gross of $2 million for a $69.6 million domestic gross. Next up we have the fourth Universal title in this weekends top twelve, Glass, which tumbled 55% to gross $1.7 million for a $107.9 million domestic gross. The Prodigy is headed towards the end of its domestic box office run as it plummeted 63% to add $1.1 million to a domestic haul of $13.5 million. Total Dhamaal opened to $950,000 from 202 locations for a per-theater average of $4,703 while Spider-Man: Into The Spider-Verse finally had a sizeable weekend-to-weekend drop thanks to the arrival of The Hidden World. This likely future Best Animated Feature Oscar winner fell 57% this weekend and grossed another $865,000 for a $184.9 million domestic gross. Despite not adding any locations this frame, Vice actually increased 27% from last weekend for a ninth weekend gross of $731,391, giving it a domestic haul of $47.2 million. Fellow Best Picture nominee A Star Is Born added $700,000 (a 10% drop from last weekend) for a massive domestic gross of $210.9 million. Speaking of Best Picture nominees, The Favourite added $540,000 this frame (a mere 16% dip from last weekend) for a domestic gross of $32.1 million. Arctic made its biggest location expansion yet this frame as it went into 257 theaters and grossed $522,452 for a per-theater average of $2,033 for a domestic gross of $1.07 million. Also expanding its location count this frame was Everybody Knows, which grossed $355,000 from 71 locations for a per-theater average of $5,000 and a domestic gross of $728,000. Meanwhile, The Wife went back into 204 locations this frame as it grossed $153,250 for a per-theater average of $751 and a domestic gross of $9.4 million. Finally, Iron Orchard debuted to $49,250 from 8 locations for a per-theater average of $6,156. 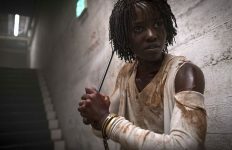 The top 12 movies this weekend grossed a total of $115.8 million, the fifth biggest eighth weekend in any given year in history. 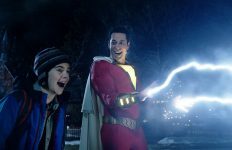 My concerns last weekend about this being the lowest-grossing February in the 21st century have turned out to be unfounded, February 2019 has now grossed at least $572 million, ahead of the entire grosses of February 2000 and within spitting distance of the final grosses of February 2001 and February 2002. February 2019 will also likely exceed the $618.1 million gross of February 2013 to avoid becoming the lowest-grossing February in the 2010’s.